Is it normal for a company to ask for a photo ID when finishing my new-hire paperwork? I've been hired by a company recently and now they're finishing my paperwork. Today, I was asked to provide a photo ID. I'm going to use a picture of my license. I want to make sure this is normal procedure. I believe driver's license is public record so more than likely I won't be risking anything. I just like to be sure. I'm from the United States. All documents must be UNEXPIRED. Employees may present one selection from List A or a combination of one selection from List B and one selection from List C.
100% standard. They're just verifying that the person in front of them is the person they are claiming to be. Yes, this is very much normal in most of the organizations around the world. For example: Passport / voter ID card is the most common ones used in my country. Not the answer you're looking for? Browse other questions tagged united-states security or ask your own question. As a developer, how can I ask for more freedom when confronted with a tight IT security policy? 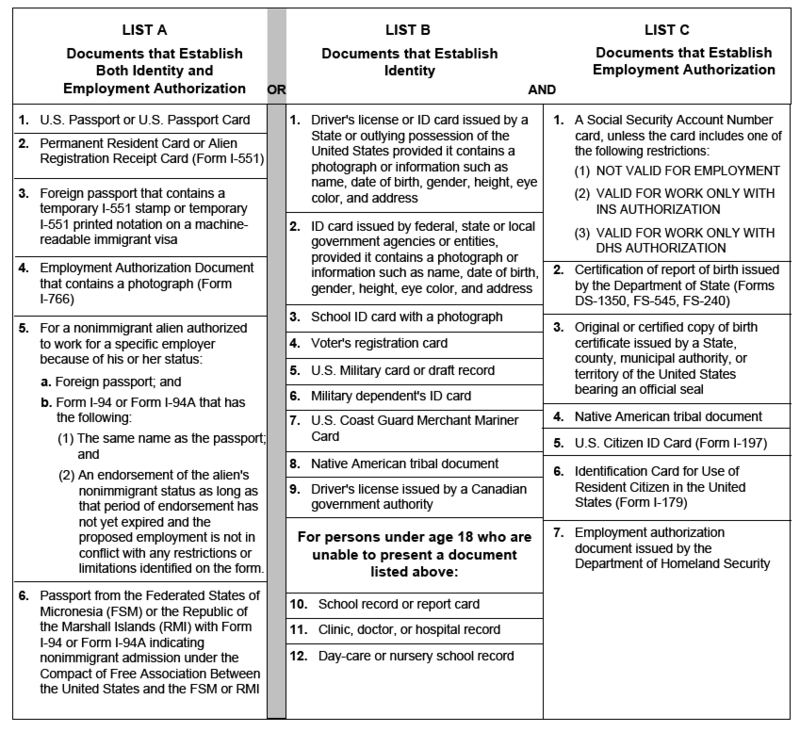 Should I work with my business partner or apply for a job offering a H-1B visa? Is it acceptable or normal to request accommodations due to coworkers being sick around you? I was told I may be expected to lie for company, what questions I should ask regarding this? Acceptable for new hire to bring up bad security practices, or “go with the flow”? Did I overstep my bounds by creating a tool “behind my manager's back”, during non-work hours?